Having a stressful day at work? Think a sweet playlist will make the world seem a bit brighter? 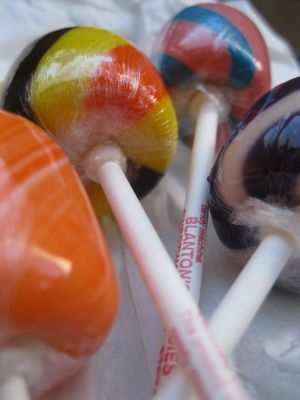 Listening to songs mentioning candy and sugar always put me in a good mood so I thought I’d share with you some of my favorites…and some of the sweet history behind the tunes. Of course all of us present-day sugar fiends love this song, but apparently there were just as many sugar fiends in 1963. Though this New Mexico-based group got their start as an instrumental group, it was “Sugar Shack” that put them at No. 1 on the Billboard chart in ’63. Palmerâ€™s Chow Down Mix is one of those concoctions that really look like they threw a bunch of leftovers together. It honestly looked really unappetizing to me. You can see from the photo that itâ€™s a mix of mini pretzels, some candy-coated chocolate pieces and a bunch of white candy-coated items. The white candy-coated items are more mini pretzels, a wheat circle (reminds me of a certain cereal) and wheat squares (reminds me of yet another cereal). Iâ€™ve never been a huge fan of anything claiming to be â€œyogurt coveredâ€ or covered in todayâ€™s candy makersâ€™ fake white chocolate. 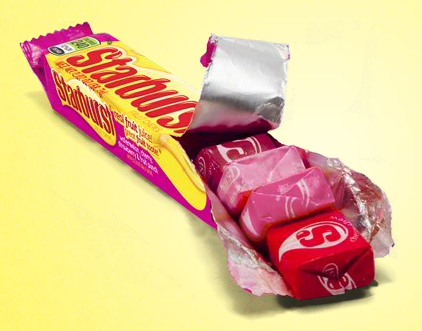 So, knowing this about me, you can understand that I thought it was a candy I was not going to like. Upon opening the container, a huge aroma of vanilla bursts out of the tub. It wasnâ€™t overpowering, but it let you know it was there. 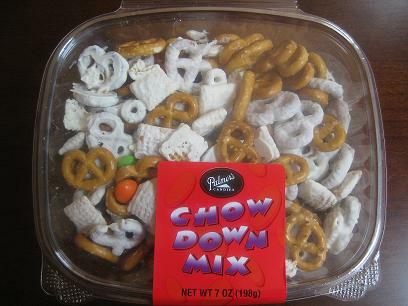 Once I ate some of the Chow Down Mix, I was actually surprised that the flavors work together nicely. We all know salty pretzels work well with anything sweet but the combination with the white candy coating and the candy-coated chocolate pieces was actually pretty good.